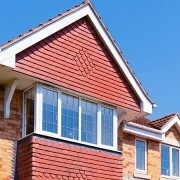 Roofline products are used at the section of your home where the building and the roof meet. This is one of the most vulnerable parts of the building because it is exposed to the elements, but it is also difficult to access and one of the least observed areas of your home. If left unchecked, water from blocked or broken gutters may overflow creating conditions that can lead to damp and mould on the inside of your home. Also, if moisture gets inside of your roof, rafters or joints, it may start to rot and repairs can be costly. Traditional roofline products are made from timber, but wood is porous, very combustible and susceptible to water, fire and insects. Water can easily be absorbed by timber, which can compromise its strength and can cause adverse health effects. An alternative to timber is to use PVC (polyvinyl chloride). PVC is a modern and cost effective solution that will significantly improve the external appearance and performance of your roof. 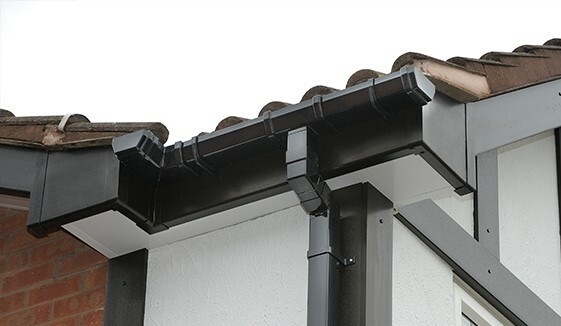 Capping over is a short-term solution that involves removing the existing guttering and attaching a PVC cappit board to the timber fascia. Although, capping over is the cheaper more appealing option, it should only be considered if the existing timber is in a good condition and is free from rot and decay. If the timber is rotten, it will continue to deteriorate underneath the capping and eventually it will cause the cappit board to fall off. Full roofline replacement is a long-term solution that involves removing the existing wooden fascia and replacing it with a new PVC fascia board. 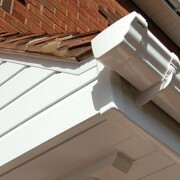 You can expect PVC fascia’s, soffits and guttering products to last for many years with almost no maintenance. 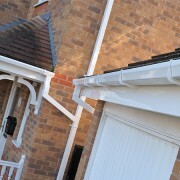 PVC roofline products will not rot, warp, bend or discolour. Looking for more information? Use the links below to find the right roofline product. 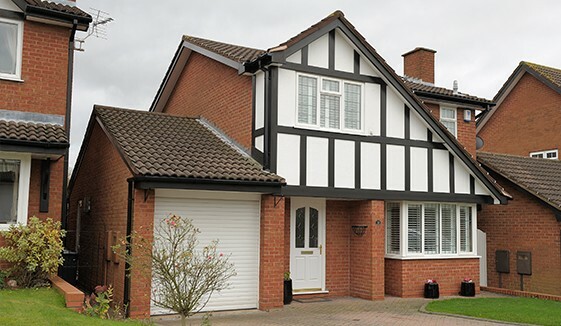 Soffits are manufactured in a choice of materials including uPVC, aluminium and solid resin. 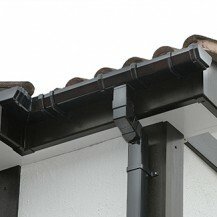 Guttering diverts rainwater away from your home and is available in a choice of styles to suit your property. 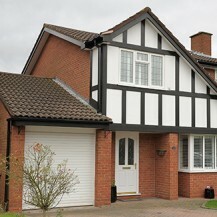 Fascias are designed to seal your roof and protect your home from wind and rain exposure.